COFFEY GROUP ARCHITECTURE, LLC* was retained to analyze and replan the space inside Radio City Music Hall. 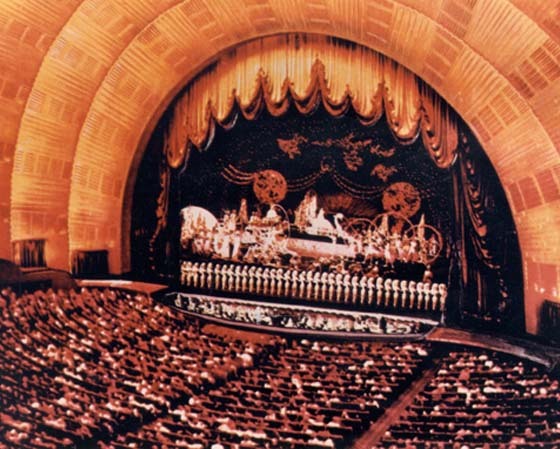 Radio City Music Hall Productions and its multiple corporate divisions occupied large amounts of former theatrical support space within the landmark structure. Over 55 years, this space had been haphazardly converted from theater ancillary areas to administrative offices. A comprehensive Facility Master Plan was developed that outlined how the existing space could be better utilized and expanded for the various departments and support functions. Criteria considered in this analysis included access to the business public, efficient utilization of unorthodox space for business purposes, potential for expansion, and improved interdivisional circulation that enabled the controlled mixing of corporate personnel and performers. Subsequent to the development of the plan, the theater was taken over by a new management team and the plan was generally implemented as planned.